The seventh EP on FireScope Records, the new sub label of the legendary B12 Records, welcomes Bauri (Martin Abrahamsson) a producer based in Malmo, Sweden. Bauri has been releasing tracks on labels such as Drumcode, Neo Ouija, Sloboda, Random Island and is known to cross various styles of electronic music. 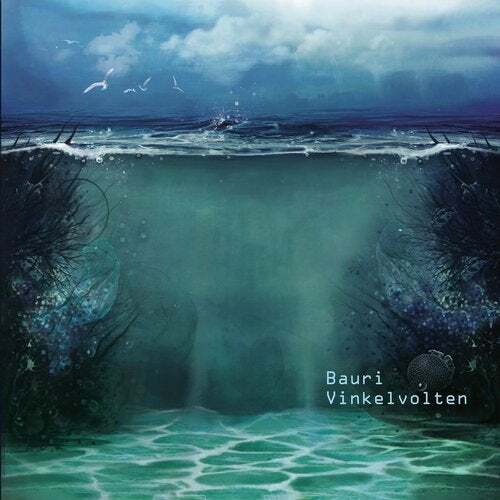 The EP entitled Vinkelvolten showcases Bauri's form of techno on a platform that; as promised; will diversify and show consistency. This EP takes us on a journey built around gorgeous sounds and crisp abstract beats to a place calmness and peace. Originally part of Bauri's 2nd album that never got released due to the slow down in the IDM scene; these tracks have matured like a fine wine for 12 years; and now are on a 12' released by B12. 'Warm Fuzzy Feeling' A stunning baseline wraps the listener up into a hypnotic loving hug while strings and beats take us on a journey of peace and calm. 'Kirmumxyl' Abstract beats and voice like accompaniments conjure up images of a place of loneliness but calm; inspired by Swedish ambient artist Tupilaq. 'Vinkelvolten I' The title track - its again built around abstract sounding beats with a wonderful every present top line; disjointed in nature but creates a sense of calm that is ever present in this EP. 'Amethyst' filled with shimmering melodies, again a soothing track that that creates a sense of green to this dynamic producer. FireScope Records like its parent label B12 Records - A label core to the UK techno scene with roots starting in the early 90's launched by Michael Golding and Steven Rutter, will exist in conjunction with B12 Records and has the same ethos, quality music, quality packaging, without compromise and a product that will stand the test of time. FireScope will diversify somewhat, not just deep meaningful techno, but also techno with vocals, real songs with real meaning.